Have you heard of the Jesse Tree? It is a wonderful and simple tradition that helps your family focus on Christ and the big-picture, God-history view of the holiday. Our family has enjoyed many different ways of doing the Jesse Tree over the years! 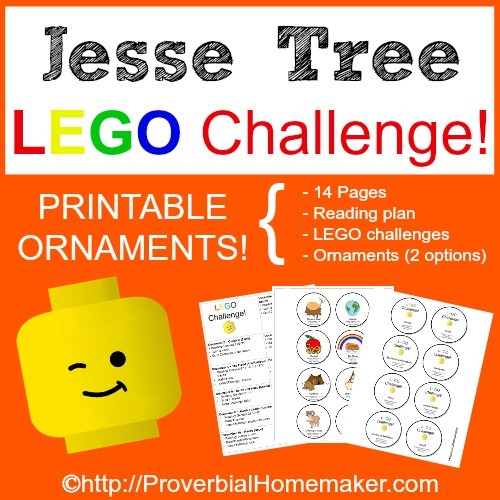 Here, I’m sharing a fun system you can use with your kids for an easy start to the Jesse Tree tradition! What is the Action Bible? My kids love The Action Bible! It is a graphic novel version of the Bible that they enjoy reading for fun. Of course, they read straight from the scripture as well, but we enjoy having this book in our home, too. 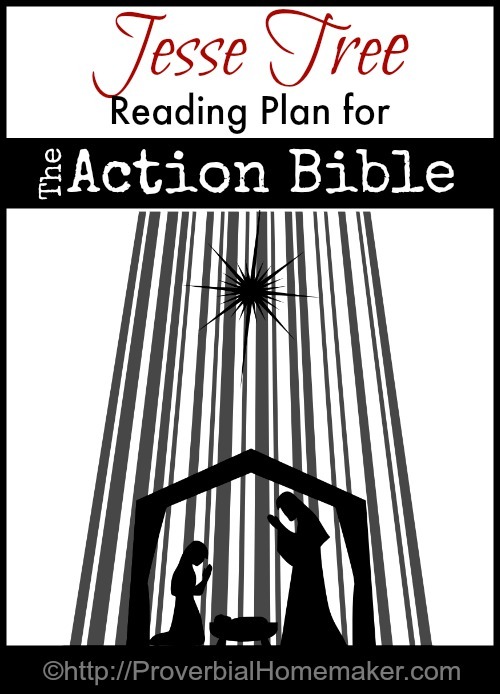 A few years ago I decided to make a little Action Bible reading plan for the kids to go along with our Jesse Tree activities. They enjoy using it along with our Jesse Tree LEGO challenge as well. 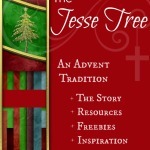 The Jesse Tree is a story that is pieced together every day during advent, bringing about a complete picture of Jesus. Every day, a special ornament is put on the tree. The ornaments represent stories from the Old and New Testaments that tell of Christ, our Savior. This activity tells the entire Christmas story – the 4,000 year long redemption plan of God! The tradition is called the Jesse Tree in reference to Isaiah 11:1-2. God’s people were living in exile and separation from God. They were as a stump, cut away and bare. Want more information and resources? Find out here. 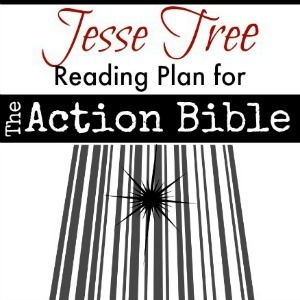 Download the Jesse Tree Reading Plan for the Action Bible! The Jesse Tree Reading Plan for the Action Bible includes printable ornaments, drawing/comic creation challenges, and a reading plan to use with the Jesse Tree. The readings start December 1 but you can play a little catch up if needed. You can use them with on their own, with your existing Jesse Tree ornaments, or use the printable ornaments included. Have a GREAT time with your kids this Christmas as you build fun memories together and focus on Jesus! I really love all the Jesse Tree resources you listed 🙂 My hubbie spent tons of time looking at the different resources for Advent after our son was born on the first Sunday of Advent. We ended up writing a book, Bible Characters for Advent and launching MyJesseTree to be a place with free resources, ebook, printables, ornaments etc for Advent. Thank you! That really means a lot 🙂 I love the resources you’ve shared as well. I love this!! I downloaded the Lego challenge and would like the Action Bible reading plan. I have requested it 3 times, and I still have not received an email. Can you please send it to me? Thank you! Be sure to check your spam folder! They end up there sometimes. 🙂 if doing that and searching your folders doesn’t bring it up, let me know!